Bangkok, March 29, 2012 — Growth sectors in tourism – domestic and international – are hard to find these days. Business and financial uncertainty, the ongoing fallout from Europe and America’s economic woes and faltering economic growth in key markets have impacted severely on many tourism sectors and destinations around the world. With one clear exception: golf tourism to Asia. Led by Thailand, the world’s third most popular golf tourism destination behind Spain and the United States, golf tourism to the kingdom and some neighbouring countries is defying accepted norms. Golf tourism to Thailand will attract an estimated record 600,000 inbound visitors and be worth $US2 billion this year, and future growth seems unlimited. Now, other South-East Asian and markets further afield want to cash in. Mark Siegel, the president of Golfasian, the largest dedicated inbound golf tourism company in the region, believes Asia is benefitting because most golf tourists continue to travel irrespective of economic conditions. It’s just that during an economic downturn they forgo luxury for lower-cost options. Which works in Asia’s favour to a tee. He says Thailand’s value for money and multiple non-golf attractions are key reasons why its golf tourism is growing. The Arab spring is another. A reluctance by some golf tourists to visit emerging competitive locations like Morocco and Turkey inevitably focuses attention on more established alternative destinations, especially for snow-bound European golfers. Thailand has overcome it own problems in the past several years – notably floods late last year, which created an incorrect perception overseas that the country was under water. In reality, only areas around Bangkok were flood-affected, with minimal disruption to golf. Thai Country Club near the international airport didn’t miss a day’s play. Popular golf centres of Pattaya, Hua Hin and Chiang Mai also operated continuously, enabling the kingdom to enjoy a record-breaking December to February high season. Europeans remain the major golf tourists to Thailand, with almost two-thirds of total arrivals coming from Scandinavia, western Europe and the United Kingdom. Australia and regional Asia account for most of the rest, with smaller numbers from North America. 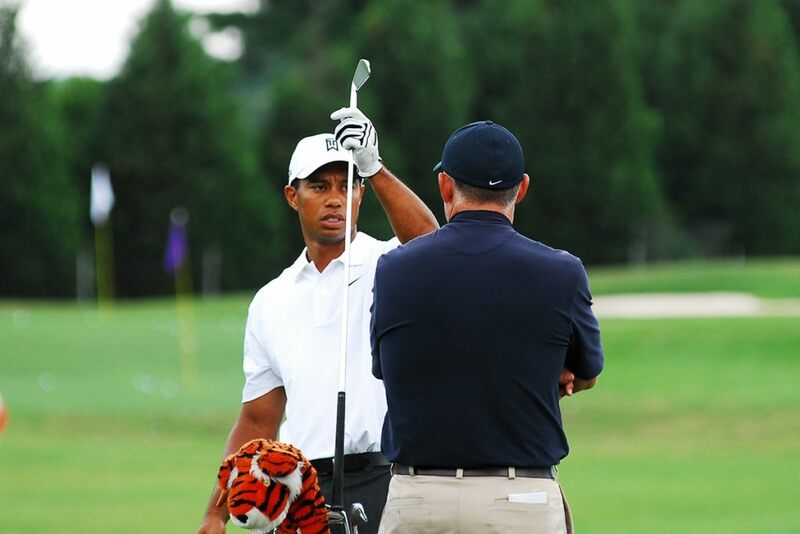 Faith in the future of golf tourism has prompted two high-profile clubs in Thailand to expand their facilities. Siam Country Club near Pattaya, which relies entirely on visitors to its two adjacent courses, totaling 45 holes, has started work on an additional 18 hole layout that is scheduled to open in 2014. According to managing director, Prasertchai Phornprapha, the bullish new development represents an expression of faith in golf tourism in Pattaya and throughout Thailand. When fully operational, Siam Country Club’s 63 holes will host an estimated 130,000 rounds of golf a year, making it one of Asia’s busiest golf destinations. Siam Country Club’s expansion decision was made before Pattaya was named last November by the International Association of Golf Tourism Operators as golf destination of 2012 in Asia/Pacific. Thailand itself won the same premier award for 2010. The kingdom itself picked up another accolade late in 2011 when it was named the region’s best golf destination at the Asia Pacific Golf Summit held in Pattaya. Meanwhile, another Thai course – Black Mountain Golf Club near Hua Hin – has opened a brilliant new par-3 course and a multi-million dollar waterpark and waveboard park complex that is adding to the aura of the already-popular tourist destination, especially among Scandinavians. Black Mountain last year took the mantle from Bangkok’s prestigious Thai Country Club as the country’s best course, with another Hua Hin favourite, Banyan Golf Club, taking third position. While Thailand currently holds the mantle as Asia’s golf tourism leader, China is a future contender for the premier position. Already, complexes such as Mission Hills’ dozen signature layouts at Shenzhen and 10 courses at Haikou on the island of Hainan have attracted worldwide attention and large numbers of foreign and, in the case of Shenzhen, Hong Kong-based players. Spring City’s twin courses near Kunming in south-west China and others in Guangdong province, where golf can be played year-round, are also capturing attention. But an ongoing question mark over the legality of many courses in China hangs over its inbound golf tourism. Authorities in Beijing have been clamping down on alleged illegal developments, with several courses forcibly closed down. Numerous others have been warned about continuing operations. Until these issues are resolved, and its rigid visa requirements relaxed, China may struggle to reach its both golf tourism potential or numbers of foreign golfers travelling to other destinations. Neighbouring Vietnam is on the rise as a golf destination. Although there are only 24 golf courses in the country, up to 89 can be built under an official declaration by the government in 2010. Formation of a new destination-marketing group, Golf Coast Vietnam (www.golfcoastvietnam.com), based on the country’s third largest city of Danang, has boosted the profile of golf tourism in the historic and popular tourist region. Indeed, like Thailand, which has seen regional golf tourism explode outside the capital of Bangkok, Vietnam’s regional centres of Danang, Dalat and, to a lesser extent, Phan Thiet are developing as golf destinations. By the end of the year, Danang will have three world-class courses to attract golf tourists who are already captivated by the UNESCO World Heritage-listed cities of Hue and Hoi An and the My Son cultural site. Spearheaded by the Colin Montgomerie-designed Montgomerie Links and the Greg Norman-designed Danang Golf Club next door, a new layout by Sir Nick Faldo called Laguna Lang Co is due to open in September. In Malaysia, the formation last year of the Malaysian Golf Tourism Association was an important step in a pro-active approach being adopted for golf tourism. Long lying in the shadow of Thailand as a golf destination, Malaysia is, nevertheless, Asia’s second most important golf tourism market. Its numerous high quality courses on both the mainland and in Sabah will compete strongly with neighbouring Thailand for the multi-billion dollar a year market. IAGTO’s first golf tourism convention in Asia, to be held in Kuala Lumpur in late April, with numerous golf tourism agents from around the world attending, will undoubtedly boost Malaysia’s credentials. Additionally, a just announced tie-up between Golfasian and Diethelm Travel Malaysia will promote golf in Malaysia through the two companies’ considerable combined resources. In Sabah, a new marketing group has been formed to promote golf in the eastern state on the island of Borneo. 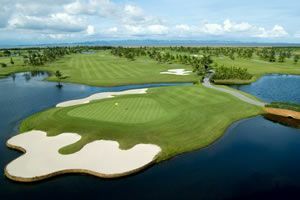 Formed by two resorts – Sutura Harbour and the Shangri-la Rasa Ria at Dalit Bay – the promotion, known as Sabah Golf (www.sabah-golf.com) is seeking to capitalise on Malaysia’s growing golf tourism profile. Japan, too, is seeking to ramp up golf tourism. Last November, at the IAGTO golf travel market in Belek, Turkey, a Japan National Tourism Office delegation signalled the country’s intentions. This was soon followed by a new inbound golf tourism promotion being launched for the island of Hokkaido involving seven golf courses and marketed as Yotei Golf (www.yoteigolf.com). With 2500 golf courses, second only globally to the United States, Japan is in an especially strong position to boost golf tourism. Its limitations include an incorrect perception that golf is exclusive and expensive (a hangover from the 1980s and 90s economic bubble), safety concerns following the earthquake and tsunami near Fukushima last March, distance from some major markets and a limited golf season in the northern half of the country. Elsewhere in Asia, golf tourism is high on the agenda of many countries. 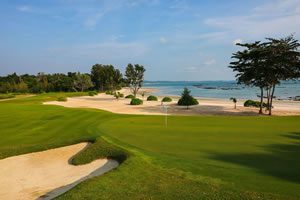 Cambodia and Indonesia both have small, but developing, inbound golf tourism markets – Bintan Island, which has easy access from Singapore, is popular with Singapore expats and visitors; the Philippines has potential, but little external promotion; while Singapore itself and Hong Kong have limited space and courses; on the other hand, Bali, with only five courses and ample scope for new courses, is surprisingly underdone as a golf destination. A new development in the Nusa Dua area – Picatu Indah, featuring the New Kuta course and the soon-to-be-opened sumptuous The Prada Rich hotel resort – could well become a focal point for golf on Bali in the future. The sleeping giant is, of course, India – where golf has been played for more than 150 years and which boasts many memorable golf experiences. India’ tourism ministry is making efforts to position the country as a golf destination. According to the ministry, promoting golf as a niche tourism product can help the country showcase its other tourism attractions and boost foreign tourist arrivals. Burma is another small, but potentially fertile, market. As it encourages foreign tourism and reforms its political and economic system to satisfy western (mainly US) demands, opportunities to play golf on some historic courses around Rangoon and Bagan will undoubtedly prove enticing to golfers seeking a new destination. Australia and New Zealand are also beginning to actively promote golf tourism beyond their own shores. Last November during the Presidents Cup, played at Royal Melbourne, a new group named Great Golf Courses of Australia was formed to promote inbound golf tourism. Featuring Royal Melbourne itself, the neighbouring premier course, Kingston Heath, New South Wales Golf Club in Sydney and the twin Tasmanian courses of Barnbougle Dunes and The Lost Farm, the group has partnered with Tourism Australia in seeking to attract golf tourists. New Zealand, too, is stepping up golf tourism promotion. The marketing group Destination Queenstown has begun a campaign in Asia to alert golf tourists to its seven courses and spectacular other attractions in this South Island holiday haven. With some of the best and most scenic courses in Asia Pacific (led by Cape Kidnappers and Kauri Cliffs and The Hills), a favourable currency exchange and a pristine environment, the Land of the Long White cloud may well become a contender for Asian golf tourism dollars in the near future.